THE JOURNEY OF PA MARCO, SO FAR! I was present when PA Marco was born. His entry into the world was perfect except he had a mummified twin attached by a tiny umbilicus to the main cord. Fortunately, this twin did not hamper Marco’s way into the world. There was an intelligent, thoughtful presence about Marco from the beginning. As I raised him, he had an unbelievable ease in everything he did. He learned almost without being taught. He was gentle, friendly, super smart, sweet. Additionally he displayed presence, quality, beauty and strong athletic Russian movement. Marco enjoyed life in a large pasture with friends were he grew up strong and well adjusted. As he approached three years of age he was started to saddle by the amazing trainer Tom King. After only 30 days, Marco learned all sorts of skills (see video with Tom King). The very first day I saw him ridden I decided to try and buy him from Dr. Merchenthaler of Pannonia Arabians, his breeder. This in spite of the fact that I had sworn not to own another stallion! Marco was mine and he went straight to master trainer Brett Becker. In less than a year he was named 2011 US National Reserve Champion Western Pleasure, followed by 2012 Champion Signature Western Pleasure Futurity and many other honors with Brett Becker of Becker Stables. To go back a bit, I always wanted to get involved in Arabian Reining. As Marco matured he displayed tremendous physical abilities and strength. When I asked the always wise judge and horsewoman, Judy Kibler, for advice on selecting a trainer in my vicinity she named Nathan Kent. Soon after we met, I knew Nathan was perfect for Marco and us. Brett kindly helped us in this transition and Marco went to Kuna, Idaho to start a new career with Nathan. Just a few months later Nathan rode him to the titles of 2013 US National Reserve Championship Arabian Reining Futurity and Junior Horse. By the time Marco was 5 years old, he achieved three National titles, Scottsdale titles, and earned more than $24,000 in combined prize money in Western Pleasure and Reining. Since then Marco has collected multiple Top Tens in Arabian Open Reining at Scottsdale, Las Vegas Wild Card, and US Nationals. He was 2016 Scottsdale Arabian Reining Derby Champion and 2016 US National Reserve Champion Arabian Reining Derby. “PA Marco is a real horse. It always makes me happy when a horse is beautiful and can also be a great athlete.” – Howard Kale Jr.
Last year PA Marco stood at stud at Hope Reigns Arabians under the experienced management of Laura Cronk where he covered several mares. In 2017 he will stand at the respected Michigan State University Arabian Breeding Program and will also be available to outside mares. His show career in full swing, Marco will continue to be shown by Nathan Kent in reining at national level competitions. PA Marco has a very special place in our hearts. 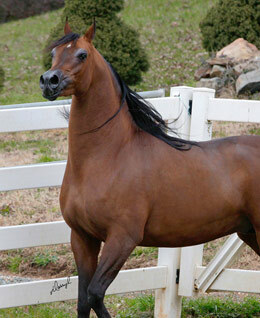 He was given his all in the show ring, he has been a friend and a horse I ride at home for pleasure. Now he is being recognized as a unique opportunity as a breeding horse due to his pedigree, quality, and unusual abilities he possesses. Please join us in the journey of PA Marco, it’s a blast.